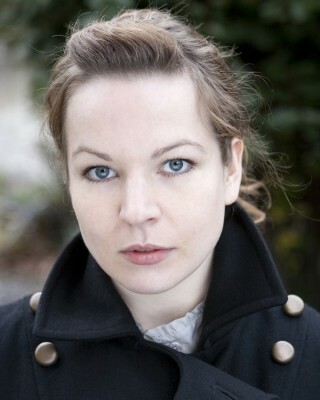 Dagmar was most recently seen as Katerina in Stuart Carolan’s crime drama TAKEN DOWN directed David Caffrey for Octogan. Film and television credits include Ruth Rendell’s 13 STEPS DOWN directed by Marek Losey for ITV, Dr. Jillian O’Hara in TV movie FEROCIOUS PLANET (Syfy) and MOONE BOY created Chris O’Dowd and directed by Declan Lowney for Baby Cow Productions – nominated for several International television awards and recipient of the International Emmy Award for Best Comedy. Dagmar also played Nina Lawlor in Ireland’s favourite soap opera FAIR CITY on RTÉ. Theatre roles include Emelia in OTHELLO and Mrs. Erlynne in LADY WINDERMERE’S FAN with Bruiser Theatre Company. She played Calpurnia in JULIUS CAESAR directed by Ben Nailor at Menier Choclate Factory and Rita in EDUCATING RITA, which took her on an extensive tour of Asia. She also appeared in TWELFTH NIGHT at Project Cube and ACCIDENTAL DEATH OF AN ANARCHIST at the New Theatre and Desdemona in Second Age’s production of OTHELLO directed by John Breen at The Helix.